Quite apart from that amazingly brief learning and playing time, this is a wargame with no moving parts. Wooden blocks, in blue, black and red, sit upon a period-style map, and represent either the present strength of formations or location control (such as Hougomont or Plancenoit) rather than being units to move around and conduct combat with. The meat of the game is on the formation cards, and to some extent, on the casualty, time record and morale tracks. 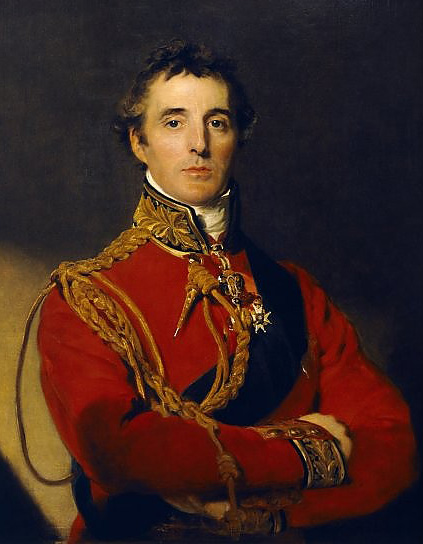 Here, the function and abilities of the key Waterloo contingents, and the broader strengths and weaknesses of the armies, are represented by various combat potentials, changes in status as your battle evolves, and some very hazardous slides in morale. The game is played in alternating activations – first the French player, then the Anglo-Allied, will choose a formation card to perform an action with, roll a die to resolve that action, and then play switches again to the other side for their next decision. Casualties are represented by removing blocks from the map array and placing them on the casualty tracks – and once casualties pass a certain limit, Rout Tests kick in. Furthermore, combat results can also result in a direct loss of army morale, which, allied to the imposition of Rout Tests, can break an army in an instant. Essentially, the battle is won or lost by casualties and concomitant morale drops wrecking the fighting potential of either army, leading to the dread inevitability of a failed Rout Test sooner or later. Readers might already have gleaned from this that the game contains a substantial amount of luck – all those die rolls with little player scope to help things along. It also is rather heavily scripted – your forces are where they were historically, will fight what they did historically; and you can forget about trying to shift the French effort over to the west via subtle manoeuvre, because that sort of option simply is not available. But these limitations should not deter you, as the game is rollicking entertainment, helped by very carefully considered combat results tailored to the formations in question. Furthermore, there is a manifest element of time pressure, as the game’s mechanisms very adeptly supply a sense “Give Me Night Or Give Me Blücher” on the one hand, and the final desperate lunge of “La Garde” on the other. I will come to other aspects of time pressure in just a moment, but just before that, and before introducing the game armies in more detail, I want to look at the overall representation of “Waterloo Time” within the context of the design. The fateful day, June 18th 1815, is divided into three periods: Midday (11:00 – 14:00); Afternoon (14:00 – 18:00); Evening (18:00 – 22:00). Within each of these periods there are a variable number of actions, as time does not move to the next period until one of two triggering events have occurred – i.e. the Prussians first have five “divisions” (blocks) on the field, or combined battlefield losses in “divisions” have reached ten. If you enter the final period of the day, your battle will rage on until one or other side breaks. Also included on the time track are Rout Test penalties once you are out of the Midday period. Tests are penalized by +1 for any Afternoon check, and by +2 for Evening. These simulate the increasing wear on forces as time passes and the battle continues, with the resolution of any required test being a die roll (plus any modifier) comparison to the current morale level of the army (1 – 10, 10 being highest morale). Thus, even with an army still possessing decent morale, things can unravel mercilessly in the later periods, and are even worse for the French – more on that below. In the meantime, suffice it to say here, that there is no middle ground between your army fighting and not fighting. Once a Rout Test is failed, or if morale simply falls off the scale, you are finished. Is the game balanced? According to a statement in the rules it is not; but whether that means that one side is preferred, or that the historical situation is seen as preferring one army over the other; or that the game design made no effort to address balance issues within the period of playing one battle session, is not really addressed in that brief document. What is addressed is playing this game as a couplet of battles, switching sides after the first Waterloo encounter, and using what appears to be a clever little points schedule to determine an overall winner. And that is good enough for me. Now, let us meet the armies in more detail. For the French, L’Armée du Nord as it was at Waterloo is represented by cards for its two front line corps I and II, plus the VI corps, plus the two “shock” cavalry corps of Kellerman and Milhaud, the Grand Battery and the Imperial Guard. There is also a special “one-use” Napoleon card. After playing several games, I feel pretty confident in saying that the French player has got to win the battle by the actions of I and II corps, plus the massed cannon and the cavalry. The French VI corps, historically, was originally meant to provide decisive support to the initial attack by D’Erlon’s I Corps, but was forced to turn to the east as the Prussian threat began to manifest. In the game, the role of VI Corps is really as a martial form of squirty midge repellent – Prussians arrive, and a squirt of VI Corps’ action will remove at least some of them…but then, like midges, they will soon start gathering again. Like many other cards, Lobau’s has a reverse side, which indicates a change of status – in Lobau’s case, that you have rolled the Grouchy event, and that subsequent actions against the Prussians will be rather more effective. However, as such actions also chip away at the strength of Lobau’s not especially massive corps, and as the Grouchy event is not that likely to occur (I have yet to see it in effect), handling the actions of VI Corps is very much a challenge without a perfect solution. Prussian losses are temporary removals from the map and not deemed as actual casualties, and such units all come back with depressing regularity. As for the Guard, for all the whack it carries with it, dear me it is a dangerous thing to use. The Guard is best employed when the opposing army only needs an aggressive sneeze in its direction to blow away. That, in practical terms, means Wellington’s army has been reduced to a tottering wreck, and that the forward outposts of La Haye Sainte and/or Hougomont are in French hands. This will give you the best modifiers for your Guard attack, and you had better win there and then, as some far less savoury modifiers threaten to kick in if the immortals have to go in more than the once. One final note about the Guard relates to the onset of the Prussians. The Guard can be used as another anti-Prussian deterrent, but the French player gets nothing from this in the longer term, save, in the case of the Guard, the wasting away of what might be the last offensive punch they have left. Hopefully, what is coming across here is how neatly the game captures the essence of Napoleon’s growing nightmare on the day. 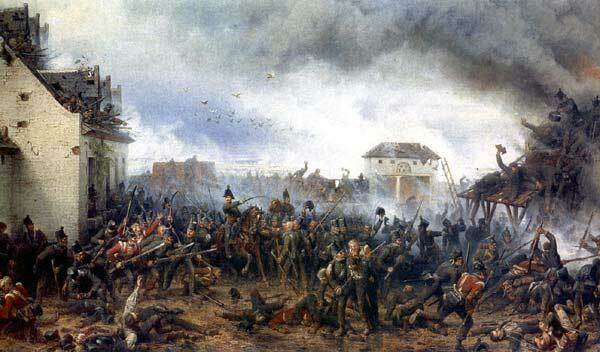 The main enemy is the army blocking the road to Brussels – you cannot win without breaking it, but you in turn will be overwhelmed and broken if the Prussians capture Plancenoit and eat into the remaining vitals of your army. And you simply do not have enough force to face both threats at once. So what of the rest of the French army? Each of the remaining corps and the Grand Battery have their designated targets based on what was in front of them historically. All such attacks are capable of producing casualty and morale hits to both sides, depending on how successfully you roll. Attacks by I and II Corps can also capture the enemy bastions to their front – La Haye Sainte for I Corps, Hougomont for II Corps. Perhaps somewhat oddly, Hougomont is a bit easier to take than the farmhouse on the Brussels Road, but not that much easier, and such stuff is really a matter, I am guessing, of the designer’s interpretation of events for the game world. In any case, taking such a bastion flips the attacking corps to its reverse side, where the attack results are rather more injurious to the Duke’s army. Casualties to one or either side. Forcing their respective targets (the corps of Hill or Orange) into square (you flip the relevant Anglo-Allied card) – actually this always occurs. Ney goes off on one, and you enter a period of enforced cavalry charge actions (the cavalry corps card is flipped to show different results) that you really could do without. Ideally, as the game’s Napoleon, you want Anglo-Allied casualties AND the forming of squares – at the very least, it costs the Anglo-Allied player a passive action to come out of square, and if French cavalry is ready and available, and counterattacks this redeployment (see later), they can do some appreciable hurt. What you do not want, by contrast, is to be locked into a wasteful sequence of Ney’s cavalry madness that wastes your time and will probably break your mounted arm’s effectiveness. But getting your cavalry forward and threatening when your opponent is needing more repairs than he has resources is a lesson in itself as to battlefield timing and reading the situation of the field. 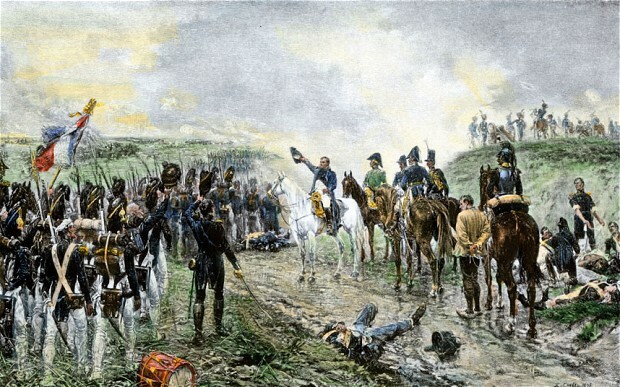 One can only think of the actual case of Napoleon on June 18th, who, seeing Ney heading off with the cavalry in the afternoon, remarked that it was all an hour too early, and that Ney was now risking a victory that was almost won. 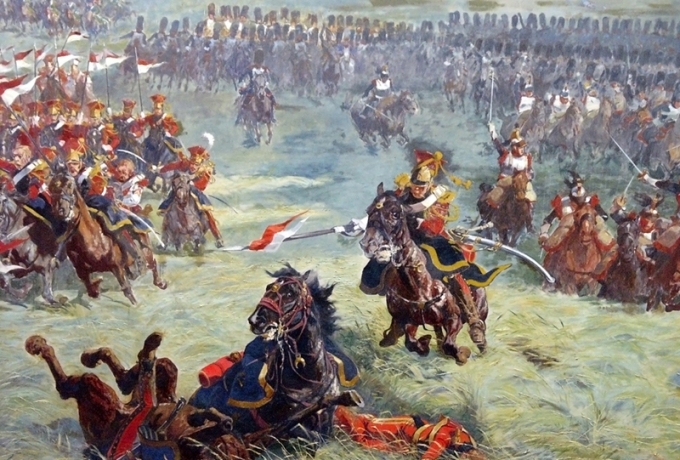 Before concluding the issue of French cavalry in the game, and how it relates to the infantry with it, it is important to note that the main benefit of forcing a corps into square, apart from rendering it largely inert, is that it provides positive benefits to attacking that corps again – but not with cavalry. This is very much predicated on the classic Napoleonic tactic of forcing the enemy into the wrong sort of formation for the threat they are actually about to face. In the game, both I and II Corps will get positive modifiers for attacking against squares; and indeed, it is an imperative if you are to capture La Haye Sainte and thus help set the stage for the tattooed veterans of the Guard to deliver the coup de grace along the road to Mont St Jean. There are two other cards we must mention – The Grand Battery and Napoleon himself. The Grand Battery is the closest the French have to a “no risk” attack card. Attacks by the Battery will cause morale and casualty hits to the units of Orange’s I Corps – the one obvious risk being that you roll a 1 for a “Mud” result, and one of the Battery’s three cubes is taken off the field. Each such loss puts a (cumulative) detrimental modifier of -1 to future bombardment efforts. There are more direct ways the Anglo-Allied player can get at the Grand Battery (via counterattack) and I must admit I am not too certain about this mud result. If “Mud” simply meant that the bombardment had fallen foul of soft ground preventing ricochets (a long way round of describing a “miss”) all would be well, but I am not sold on whether those formidable French gunners ever got into the sort of slimy destructive mess this result presently implies. As for Napoleon, he has a one-use facility to roll two dice for any corps attack and then choose the better one for the process of attack resolution. Precious advantages like this should not be squandered, and it is hard not to link the emperor’s aura over the dice to the game’s Guard going in for the final push for victory…or something like that. One other aspect of the modeling of the French army for this game is the way in which it captures the morale fragility of Napoleon’s force – linked very much to the time pressure. The French Corps all look the part, but they are fragile along the joins. This is not really the place for a look at the issues surrounding Napoleon’s last campaign army, but suffice it to say that this was a host that could go from fiery elation to panic and suspicion in double-quick time. To recreate this in game terms, the French army has a range of Rout Test modifiers for casualties that Wellington’s army can happily forget about. This, of course, builds that notion of time pressure, and a general sense that the longer the battle goes on, the more likely the French army will fold – modifiers for casualties, modifiers for time of day, modifiers for using the Guard; in short, an accident waiting to happen. When it comes to Wellington’s army, we have cards representing the corps/formations of Orange, Hill, Uxbridge, the Reserve, and Wellington. It is important to stress that the cards for one side are not mirror likenesses of what faces them across the shallow valley. Any attacks by these corps have a different range of result possibilities to their immediate adversaries – e.g. Orange’s I Corps’ attack results are different to those of D’Erlon. Without going stats crazy, there are a total of six “blood” casualties on the card for D’Erlon attacking Orange, whilst Orange has five such casualties to inflict on D’Erlon. Along with the counterattacking options I will come to presently, what these results should help indicate is that a considerable amount of thought has gone into what does what to whom along the various attack ranges, although some might think (and I certainly did) that the prospect of the Duke’s army overtly attacking much of anything is a bit hard to envisage. We might, in this instance, be more in the territory of “it’s a game, and the Anglo-Allied player needs something to do” – which is fair enough given the sheer gaming enjoyment of the system. And this view might further be strengthened by what the system rather prods the Anglo-Allied player towards doing (as I presently see it) as opposed to what they could do. In a nutshell, as Wellington you really do want to get those Prussians on the field, and I would be surprised if any game of W1815 saw the Anglo-Allied player failing to put in plenty of activations of the Blücher card. Other likely priorities involve activations of the Reserve card, which is all about mitigating the worst effects of French attacks (like those involving double whammies of two casualty hits AND morale losses) along with the loss of either La Haye Sainte or Hougomont. Basically, by spending (creating as a casualty) one block from the Reserve, you can nullify those big French hits or immediately restore rightful ownership of either the chateau or the farm. But there are only four Reserve blocks, and there could be a lot of hurt coming your way. D’Erlon’s Corps launches an attack on Orange’s Corps; in the very next activation (and it has to be that one) Uxbridge’s cavalry thunders into D’Erlon using counterattack; and immediately after that, Milhaud careers into Uxbridge, again using counterattack. It is important to understand that corps capable of counterattacking do so with a different combat results table to their norm (all unique to themselves), and that counterattacks are potentially rather more potent than the standard way of going in. So, in considering your attacks, you would do well to evaluate any potential chain of subsequent counterattacks, and be that bit more wary if you are not going to have the last riposte to be delivered. And what of the Duke and Old Forwards? The Duke’s special, one-off action is to order a general advance, which provides a guaranteed two French casualties and a further +1 modifier to a French Rout Test, and this at a cost of Anglo-Allied casualties equal to the remaining units of the Grand Battery – so be careful! It really goes without saying that this card is for late in the battle when French casualties and the time of day are providing their own woeful effects on L’Armée du Nord’s ability to endure. If the stage has already been set, the sight of the Duke waving his men forward will probably break the French beyond recall. As for Blücher, whether his forces are being seen from afar or are in the streets of Plancenoit, they are going to be a total bother to the French. Every Prussian unit deployed on the map adds +1 to the die roll for subsequent Prussian activations – which means ever more Prussians and the eventual capture of Plancenoit. With Plancenoit captured, time for the French to effect anything will run out very quickly – there are simply far to many casualty and morale hits to withstand from the flipped Prussian card, and even with some indirect help from Grouchy, the French will soon be out of army and options. And that is Waterloo the U&P way – clever, classy and unpretentiously close to being rather special. Whatever it might lack, or whatever any might feel about luck abounding, it is more than made up for in what it possesses; a faithful model of the battle’s salient aspects, and of what faced the commanders that day two hundred years ago. In all truth, it will take you appreciably longer to read this article than it will to learn the game; and while I have played other wargames over many years that could have been described, or actually were described, as “beer and pretzel” games, I cannot think of one that was as close to that particular ideal as this one – simple but never shallow; easy to play, but very much a “Damned Near Run Thing.” Brilliant. For those of us who have already discovered this game, there is a certain amount of conjecture going on as to what other battles this model could portray? Era would not present much of a problem, as we are mainly talking about scripting the force cards to suit the time and situation. But what of the situation? 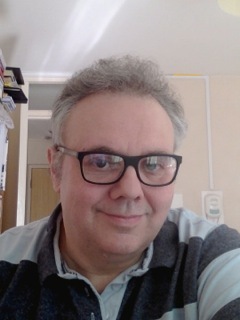 I tend to think that the system would work at its best where the onus of attack (and reasonably flexible attack at that) is on one army, and the other has limited but viable counterattacking potential – which is another way of saying that we are looking for a certain touch of the Waterloos. For me, three battles that would comfortably fit the bill are Borodino, Antietam, and El Alamein. But that is just one set of possibilities. Gaugamela has been suggested on BGG (presented along with a rather witty visual joke about the size of the Persian host from another contributor), but maybe, given the set and relentlessly implemented Macedonian battle plan there, I am not certain the system would shine at its best, though I could be totally wrong. Where I hope I am not wrong is in fervently believing that the design team behind this present gem will turn their attention to another fitting battle or two in the not too distant future. The one note of very modest caution I would offer is based on what I have seen with design sensations from earlier times. I well recall the excitement that greeted Nova’s Ace of Aces air combat book games from over thirty years ago – one of the closest designs to this present in terms of going from learning to playing in quick time. And while Ace of Aces has returned very recently, for years it was sat squarely among the bygones – yes, I played it, loved it, and then, inevitably, moved on to other things. Things might just prove to be different with this new game because of where it can go, and the possibility that the system could evolve a few more aspects. Well, we can wait and see on that one, and in the meantime, just congratulate our Finnish friends on a very fine product. Posted in W1815 and tagged 1815, Blucher, Hougomont, Napoleon, Napoleonic War, Plancenoit, W1815, Waterloo, Wellington. Bookmark the permalink. Nice review, and thanks for bringing it to my attention. I’m no fan of games that take longer to set up than play, and require players to hire lawyers to interpret the rules, so Waterloo in 15 minutes, with what looks to be very nicely done components and straightforward rules, is an instant buy. My only comment is that it appears there is little to nothing in the way of maneuver (the word never appears in your review), so it looks you are limited to fighting the tactical battle after all deployment decisions have already been made for you. There is no real manoeuvre element, you’re right. In every sense, the game, as I said, has no moving parts. 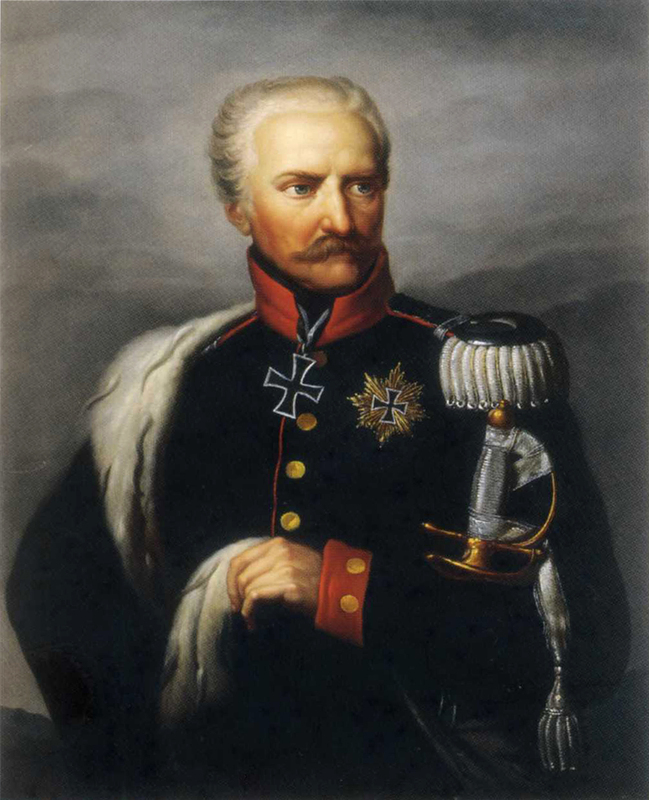 There is certainly a consideration of timing – the order of French cavalry and infantry corps attacks, the use of the British Reserves, and how much attention to spend on thwarting the Prussians. What you can do with the game model is carry out a French attack much as Napoleon intended – plenty of artillery, plenty of “fixing” with the cavalry, and then the Guard. Just about every option for both sides as presented on those formation cards is keyed to actual or historically feasible events. Nevertheless, the order of your attacks, and which targets you prioritise for attack by which formation is up to you. After spending thousands of dollars on war games in my life, I’ve decided to never suffer PTRD (post traumatic rules disorder, pronounced ‘petered’, as in ‘petered out”) ever again. I’m selling and trading any game that causes any grief whatsoever. W1815 is the new standard for what I’ll play. Not only is low-complexity and easy visibility a requirement, so is low counter density and no more ridiculous stacking of units! This game solves these age old problems. Most battles should work with the system. Played this at Fall-In after watching several games (really does take 15 minutes). Clever idea and conceptualizing the battle, but replay ability starts to flag after about the third or fourth game — started to realize limitations of player options mandated by only half a dozen cards. Indeed, had the cards been designed for it, you don’t even need the game board and wooden pieces — just cross off a strength point box on the card. As this review notes, luck plays the major role in the game. Thumbs up for making it easy to learn and fast to play, but the payoff fades with each game.